Leasing for schools, enquire now. The Complete Classroom Laptop Solution; Give Your School Access to new HP Laptops for £460 per month. 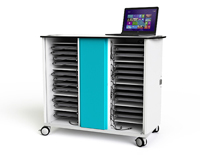 A Comprehensive PC Laptop Classroom Solution. 3 Year “SWAP IT” Warranty – Any Faulty Devices are Changed Next Working Day. Give your School the technology to succeed, our complete classroom solutions come equipped with everything! 32x HP 250 Laptop – Intel i3 Laptops give your classes the technology to explore the digital world, whether it’s using the latest applications or surfing the web, the HP 250 sets the standard for classroom learning. 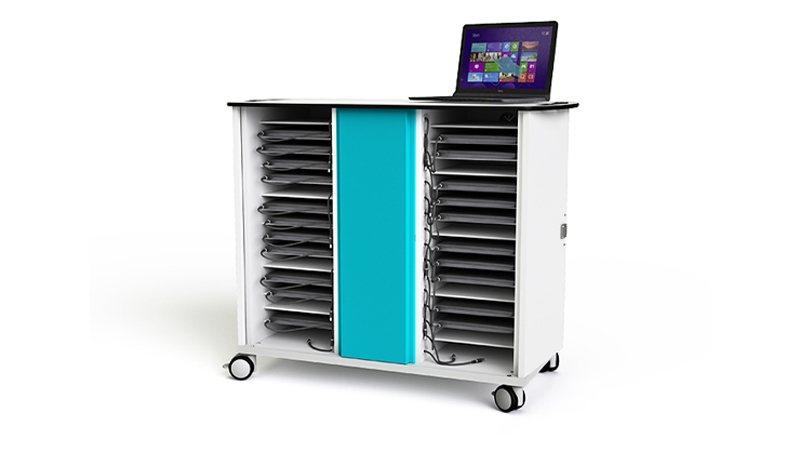 The Zioxi Laptop Charging Trolley provides charge & a secure storage facility for all 32 HP 250 Laptops provided with this solution. Stored horizontally on shelves giving users easy access & even easier storage. 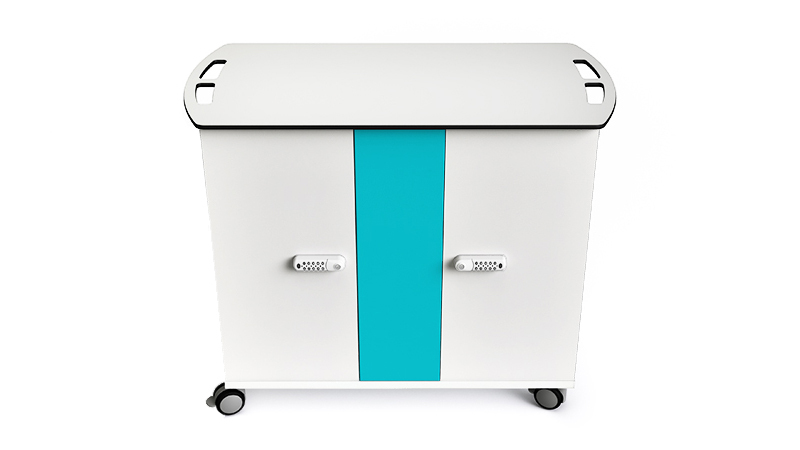 The Laptop power adapters are neatly stored in a separate electrical compartment with cable winders and adapter storage bays, all hidden behind by the removable blue metal panel. Power management is fitted as standard and has never been simpler! Take advantage of our full 3-Year Accidental Damage Cover which includes any drops or spillages that are all repaired with no excess payments. Plus a 3 Year Warranty for immediate next day swaps out on any hardware issues with the Laptops, ensuring students always have undisrupted access to working hardware at all times. The Zioxi Laptop Charging trolleys have RFID card, key or digital code (with a master key) lock options and doors which fold back 270 degrees for easy & secure access keeping your hardware safe & easily accessible. Our Classroom Solutions come with on-site professional training which includes full installation at your school and the appropriate training to ensure your staff understand how to use, deploy & get the most out of your products. Compact design with cable management makes the Zioxi 20 Bay Trolley the perfect Laptop charging Solution.